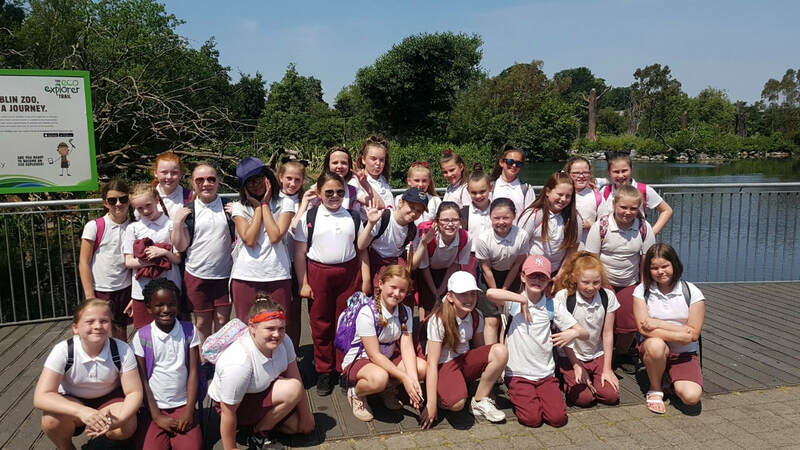 For this activity, 4th class children will “adopt” a tree, deepening their awareness of individual trees over time and encouraging a greater understanding and appreciation of their local environment. Our girls have chosen to adopt an Apple tree in Albert College park. We will observe this tree over a period of time and record changes and observations. Students will carry out experiments such as designing a diagram to show how the tree interacts with the environment, other plants and animals. The staff and pupils of Our Lady of Victories National School wished farewell on Friday 22nd of December 2017 to their old friend Tom, who retired as caretaker of the school after many years of faithful service. We will miss Tom's friendly words and laughter in the halls but wish him happiness and health in his retirement. Natalia worked very hard before Christmas to create her magnificent Santa's Grotto. Well done Natalia. What a talent you have! 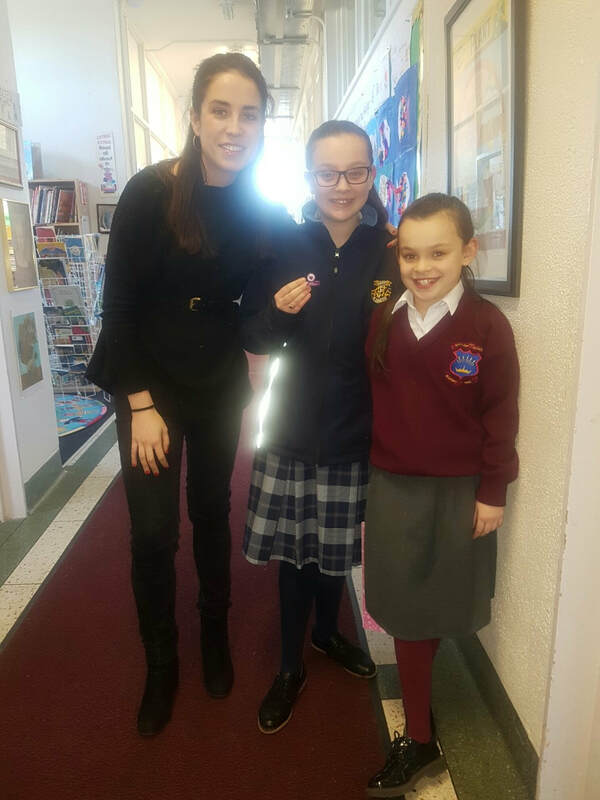 ​We were an sásta agus bródúil to hear that a former pupil of OLV Sarah Aboud (sister of Laila in 4th class) was rewarded a scholarship to an Gaeltacht during her first term as a student of St. Mary's secondary school. Sarah was chosen from a large number of applicants for her essay about the importance of the Irish language. Tír gan Teanga..Tír gan anim! We wish you all the best Sarah for your future endeavors and hope you have a wonderful time in Gaoth Dobhair. Go n-eirí leat! 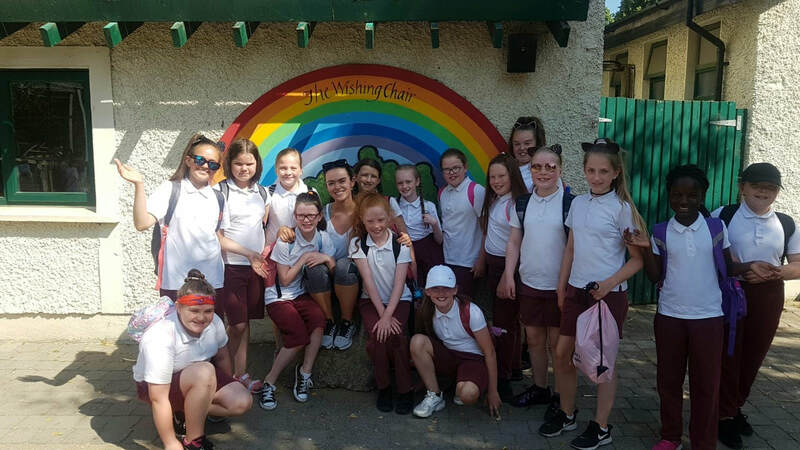 ​​We were an sásta agus bródúil to hear that a former pupil of OLV Sarah Aboud (sister of Laila in 4th class) was rewarded a scholarship to an Gaeltacht during her first term as a student of St. Mary's secondary school. Sarah was chosen from a large number of applicants for her essay about the importance of the Irish language. Tír gan Teanga..Tír gan anim! Reduce..reuse..recycle - OUr trip to the rediscovery centre. Last Thursday, Room 7 attended an interactive learning workshop which focused on the environmental impact of waste management and supported the development of key analytical skills such as observation, monitoring and interpretation. Students were introduced to the main options for avoiding, reusing, recycling and recovering waste. The workshop ended with the girls creating beautiful works of art all from recycled materials! They are now proudly on display outside our room. Sam maguire comes to OLv!